Tell Tesco to Dump Hogwood Horror Farm | Viva! Help us bring the plight of Hogwood pigs to the nation. One year on our second investigation of Hogwood pig farm has revealed that little has changed. The extreme suffering we have witnessed needs exposing and we need your help. We want to see this farm closed, at the very least for Tesco to stop using them and, of course, to show the public the grim reality of factory farming to help them on their way to going vegan. We need you to help us put the pressure on. To request a door dropper pack please use the order button below and enter your details. Fill in the form below to request a demo pack for our Tesco Day of Action! Please note that we can currently only send materials to UK residents. Online (for Tesco customers only): Complete the customer satisfaction survey. In view of Viva! Campaigns shocking new undercover investigation at Hogwood Farm in Warwickshire, I urge you to immediately drop the farm as a supplier. Last year, Viva! Campaigns exposed abhorrent conditions on Hogwood. In response to this, Tesco refused to drop the farm as a supplier; reassuring customers that it takes animal welfare ‘extremely seriously’; and that it expects producers to meet ‘stringent, industry-leading requirements’. It is a shock, therefore, that the second investigation inside Hogwood, carried out in July 2018, reveals that little has changed. Severe overcrowding, pigs covered in excreta, barren and filthy conditions, animals abandoned and left to die in gangways as well as cannibalism are all still evident. In difficult-to-watch scenes, a piglet who had been dumped in a gangway with other sick pigs was literally being eaten alive by others. The problems at Hogwood have not gone away. In fact, in some cases, they have got worse. It is clear that Tesco does NOT take animal welfare seriously nor the concerns of customers. Your company’s failure to protect pigs from pain and suffering at Hogwood shows that your assurances are meaningless. A recent story in the Daily Mail exposed that just one in a thousand Red Tractor inspections are unannounced, clearly giving farmers the heads up to cover their tracks. In the case of Hogwood ill and dying animals would certainly have been removed before investigators could fully investigate the complaints. Images from the investigation show that the farm is far from ‘very clean’, with one shed in particular festooned in cobwebs and muck. The pigs housed in that area would not be comfortable or provided suitable ventilation. Further to this, supporters of Viva!’s campaign to close Hogwood farm are now being told that CCTV will be fitted on the farm to ‘ensure these high standards are maintained’. However CCTV is already installed on the farm and was in place more than a year ago during Viva! Campaigns’ first investigation. This measure to help reassure the public how ‘seriously you are taking this issue’ is not reassuring on any level. In collaboration with West Midlands Animal Save and Warwickshire Animal Save, Viva! Campaigns will be holding vigils outside Hogwood Pig Farm to raise awareness about the horrors found inside. On Monday 6 August 2018 Viva! organised a national Week of Action, leading to a Nationwide Day of Action on Saturday 11 August 2018 outside Tesco stores. It was our biggest yet! Throughout the week we urged supporters like yourself to put pressure on Tesco by telling them that the abhorrent treatment of pigs inside Hogwood is unacceptable. It's not too late to add your voice to the many urging them to drop Hogwood Horror Farm - please continue to contact Tesco directly (we have already handed in more than 77,000 signatures on our now closed petition). Download our social media toolkit to share our graphics online, change your cover photos to help raise awareness and post in your groups. Please help us step up the momentum for the Hogwood pigs. Don't forget to tag in #HogwoodPigs on all your social sharing platforms! Despite tireless efforts from Viva! and our supporters, Tesco still refuses to drop Hogwood Horror Farm as a supplier. We’ve tried calling, emailing, sending letters and presenting over 77,000 petition signatures to Tesco directors regarding our serious concerns for #Hogwoodpigs. On 24 November 2018 we called for a SECOND Day of Action to have our voices heard. In response to the Dispatches episode 'The Truth About Vegans' the Viva! 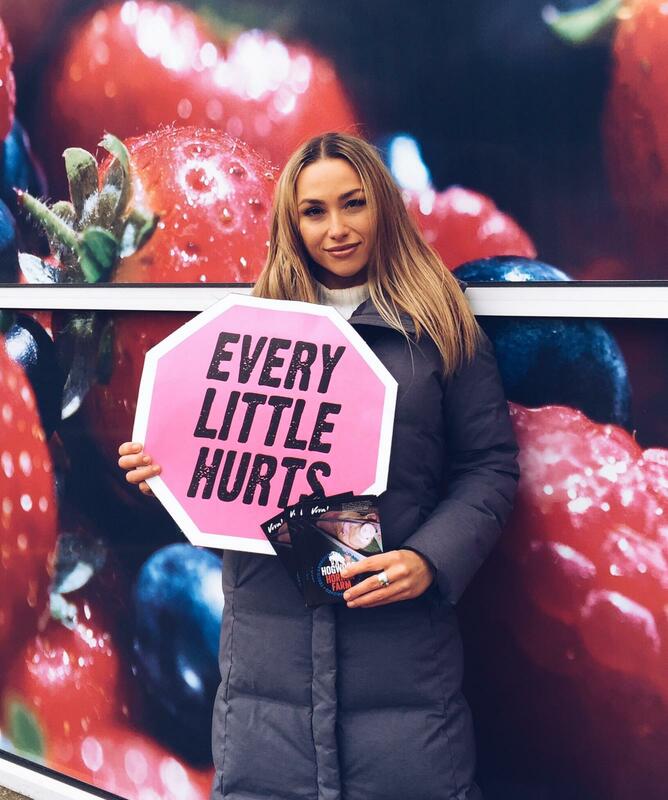 Campaigns team travelled to central London on 18 January 2019 to host a photocall outside the Red Tractor Head Office, followed by a successful outreach event at a large Tesco store on Trafalgar Square. Accompanying us was a red tractor which we adorned with the loud and clear message that you cannot trust Red Tractor, as well as a large digital video van playing our shocking footage from inside Hogwood Farm. All the events listed below formed part of our Nationwide Day of Action. For images from the day see our Facebook Event page.